Do I Need Meth Rehab? Is There Meth Treatment? What to Expect from Meth Rehabilitation? How Long Does Meth Rehab Take? How to Pick a Top Meth Rehab? What is Meth? Is Meth Addictive? Methamphetamine (or, "meth") is an extremely addictive stimulant, and meth dependency is no longer a rare occurrence in the US. According to the National Institute on Drug Abuse (NIDA), almost 5% of the population, approximately 12 million people, have tried meth at least once. Becoming addicted to meth happens quickly and has devastating physical and emotional consequences. If you or someone you love is using meth, developing an addiction is extremely likely, and entering rehab is a critical step to regain control and move forward into a healthy and productive life. Get Help Now Meth addiction has devastating consequences. Don't suffer another day. Find a treatment center now. Prior unsuccessful outpatient treatment for meth dependence. Lack of motivation to pursue and complete treatment and commit to long-term sobriety. Severe mental health issues such as psychosis, violent behavior, paranoia, anxiety and depression. Poor home environment or lack of social support. Poly-substance abuse, particularly alcohol or other depressants to counteract stimulant highs. Expert support during meth detox, and the coping skills you learn in treatment that increase the potential for long-term recovery are two of the most important reasons to enter rehab. 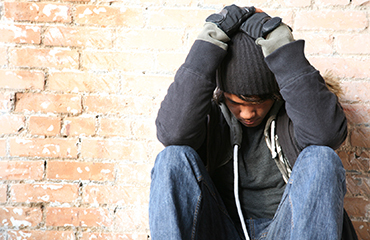 Meth rehab follows a process that is similar to treatment for other illicit drugs. 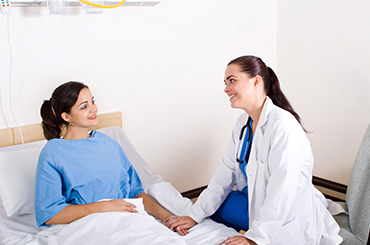 First, a thorough physical and psychological assessment is conducted upon your admission to treatment. This enables medical providers to gain an in-depth understanding of your unique path to addiction and to design a tailored treatment plan for your recovery. Second, you must go through detoxification, the process by which your body withdraws from meth abuse while being monitored and helped by a trained medical team. There are currently no proven pharmacological treatments for stimulant detoxification. An extensive review conducted in 2006 showed that the medications buproprion (antidepressant) and modafinil might be moderately effective when used in conjunction with psychosocial therapies. Medications are used to reduce withdrawal symptoms such as anxiety, depression, inability to concentrate and paranoia. Withdrawal symptoms such as insomnia and anxiety can be managed with benzodiazepines or other sedative medication. SSRI (Selective Serotonin Reuptake Inhibitors) antidepressants should be avoided because of serotonin syndrome that occurs due to stimulant dependence. While not common, some people experience seizures during meth withdrawal, which is another reason it should never be attempted without trained medical practitioners providing oversight. Cognitive behavioral therapy (CBT) and contingency management (achieving rewards linked to clean drug testing). This is typically used in the treatment of meth addiction. The "Matrix Model," which features a combination of different therapies (individual and group and family), drug testing, and participation in a 12-step program such as Narcotics Anonymous. This is often used in outpatient treatment. Research has shown that the longer an individual is compliant with treatment, the better the chances for sustained recovery from a meth addiction. The gold standard of treatment is 90 days, although inpatient treatment can be as short as 7-10 days. Because of factors mentioned above, the majority of people entering treatment for meth addiction choose outpatient services and/or a 30-day inpatient program. If you're concerned that you or a loved one is suffering under the weight of a meth dependency, call 1-888-993-3112Who Answers? to speak with someone about the different types of rehabs and the meth addiction treatment options available for you. Rehab provides expert recovery support that takes each individual's motivation to use meth into account when developing a tailored recovery plan. This significantly improves the likelihood that you can successfully move past being addicted to meth. The three primary types of rehab are residential, private, and executive. Residential. Residential rehab provides 24 hour trained medical supervision. Residential treatment helps you steer clear of people, places and things that are triggers for your addictive behavior. Private or Luxury. Residential treatment centers that provide additional 'hotel-like' amenities are said to be private or luxury. Services such as yoga, spa treatments, horseback riding and fine dining, as well as having private rooms for clients, sets these treatment centers apart from other residential centers. Executive. An executive rehab facility is even one more step up from the private and/or luxury rehab because it allows people to continue working throughout the treatment process. Often individuals in similar places in life and placed together (e.g. celebrities with other celebrities, CEO's with other CEO's) to encourage recovery among like-minded people. This option is obviously much less disruptive to daily life and the staff at executive treatment centers caters a great deal to their patient needs. Dual-Diagnosis (substance abuse and a co-occurring mental health disorder). Obtaining the necessary financial resources for meth rehab is never easy, but there are several options to consider. Borrowing funds from family or the public sector. Does Insurance Cover Meth Rehab? Insurance companies--due to provisions that mandate care in the Affordable Care Act--now cover substance abuse and mental health issues. The best way to find out whether, and what exactly, is covered by your insurance company is to call and speak to a representative. 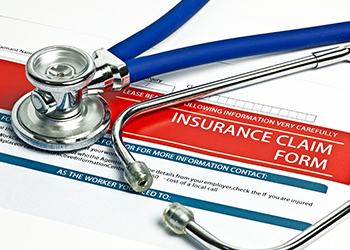 Review the specific terms of your medical policy, as each company and each plan is different. How many days of treatment are covered? Whether you are required to enter outpatient treatment before inpatient treatment. What your deductions and exclusions are. Whether there are any pre-existing condition requirements. An effective meth rehab will work with you to devise an aftercare plan that includes effective strategies for managing cravings, and ways to maintain a healthy and sober life. If you are in the throes of meth addiction, you know how life-destroying it can be. To regain a healthy and productive life, most people benefit from long-term aftercare and recovery support services. After completing rehab, the primary goal of ongoing support is relapse prevention. Currently, the two most effective therapeutic adjuncts that support abstinence after completing meth rehab are cognitive behavioral therapy (CBT) and contingency management (CM). Uncover negative thoughts and beliefs you hold about yourself. Retrain your brain using practical exercises. Reach specific goals via a collaborative and active relationship between you and your therapist. According to the National Alliance on Mental Illness (NAMI), research shows that brain activity is positively affected after you engage in CBT treatment. CM is fairly straightforward, and is basically a system of providing incentives for you to remain compliant with treatment (e.g. you receive vouchers, prizes, money in exchange for consecutive negative urine screens and attendance in counseling and support groups). If you or someone you love is working to live a sober life after being addicted to meth, our treatment support team can provide useful information about next steps and adjunct recovery services. Please call 1-888-993-3112Who Answers? to discuss what is right for you. Your financial and time resources. The availability of adjunct psychosocial treatment. This is a very important decision, and finding a center aligned with who you are and how you will best recover from your addiction is critical. Get advice from trained professionals to identify the most effective treatment option for you by calling 1-888-993-3112Who Answers? to speak to a treatment support team member.